First, I would like to thank all the children at Great Missenden who entered the latest competition run by High Wycombe Bee Keepers. 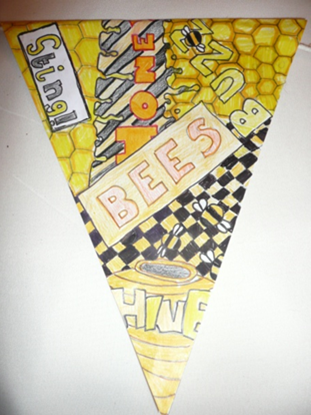 voted on their favourite bee bunting design at their annual Autumn Gathering. It was a difficult decision as all the entries were very different and individual, but finally two winners were chosen. 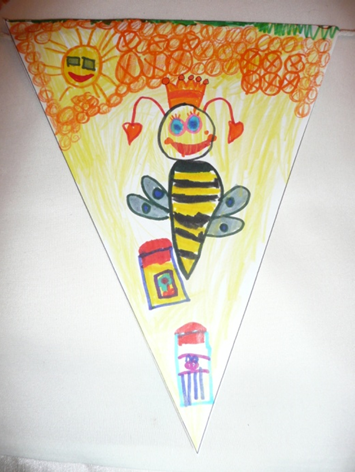 In KS1, the winner was Poppy Pollitt for her amazing Queen Bee design, a queen any keen bee keeper would bee proud of. 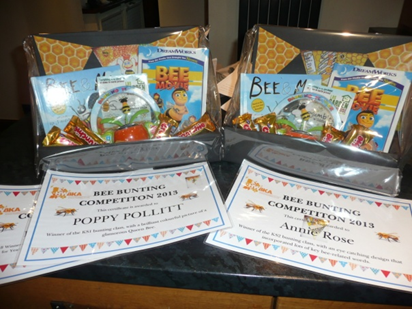 While in KS2, Annie Rose won with her unique, graphic design that incorporated various patterns and bee-related vocabulary. 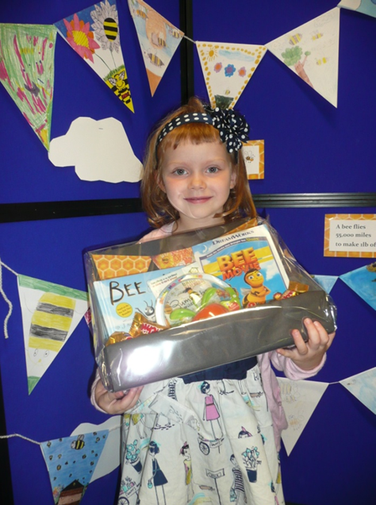 Both girls were presented with a box of bee goodies in assembly. 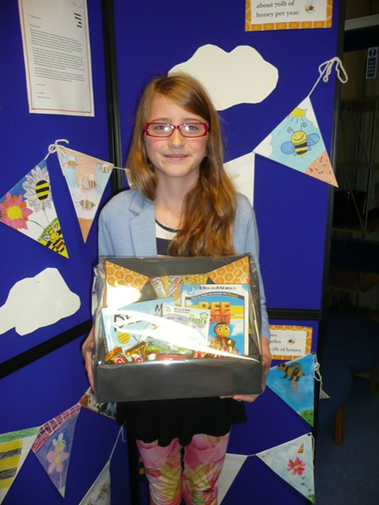 However, the overall winner was Poppy who also won the visit on ‘the life of bees’ for her class, 1C. The visit, next Spring, will consist of honey tasting, looking at bees under a microscope, bee activities and a chance to meet the bees in a live observation hive. BEE TASTIC!